Since 2000, the Classic BRIT Awards (formerly the Classical BRIT Awards) has been an institution and an indelible mark on the classical music calendar. We take a look at the winners of the Outstanding Contribution to Music and Lifetime Achievement awards from over the years - it's chock full of legends, so see who won what! Who better than the former enfant terrible of the classical world to receive the ultimate accolade? 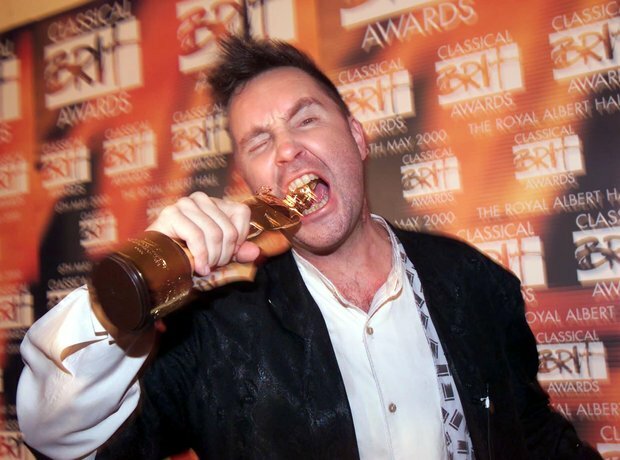 Nigel Kennedy got the gong in the awards' inaugural year. The great Simon Rattle has been a legendary name for some time now, and he's only gone from strength to strength since receiving his BRIT in 2001. Bocelli is back at this year's ceremony too - he'll be receiving the International Artist of the Year Award at the 2012 Classic BRITs - but he also got the Outstanding Contribution award back in 2002. The outstanding mezzo-soprano Cecilia Bartoli graced the Classic BRITs in 2003 to collect her Outstanding Contribution award in 2003. Though she's no stranger to winning awards, the Classic BRITs honoured her with the Outstanding Contribution gong in 2004. The world's best-known flautist received due praise when he collected his Classic BRIT in 2005, performing at the glittering ceremony too. One of The Three Tenors got the chance to shine on his own at the 2006 ceremony as he collected his award for Lifetime Achievement in music. Known for his relentless support of British composers throughout his distinguished conducting career, Handley got a well-deserved gong in 2007. The king of musicals received his Outstanding Contribution to Music award in 2008 - he's also set to appear at the 2012 ceremony as well! The Spanish tenor celebrated a life in music when he collected his Lifetime Achievement award in 2009, not just for his work with the legendary Three Tenors, but for his tireless devotion to music-making. The hugely varied and respected career of Dame Kiri Te Kanawa was honoured in 2010 with her receipt of the Lifetime Achievement Award. Here she is at the 2006 ceremony. In the year of his death, the composer of several James Bond soundtracks, Out Of Africa, Midnight Cowboy and Dances With Wolves was honoured posthumously at the 2011 Classic BRITs. This year's ceremony will honour one of the most respected and influential modern composers - John Williams. His scores for films like Star Wars, Jaws, Indiana Jones and ET are already classics, and his award will be celebrated with a special performance of some of best-loved works. Hans Zimmer, composer of movie themes including Man Of Steel, Gladiator, The Lion King, The Dark Knight and many more, was the hugely deserving winner of the Outstanding Contribution to music award in 2013.